When you work with a landscape designer and landscape contractor on your outdoor projects, there are a few key terms that you’ll want to understand. Here are a few explanations of terms that you will most definitely want to know. 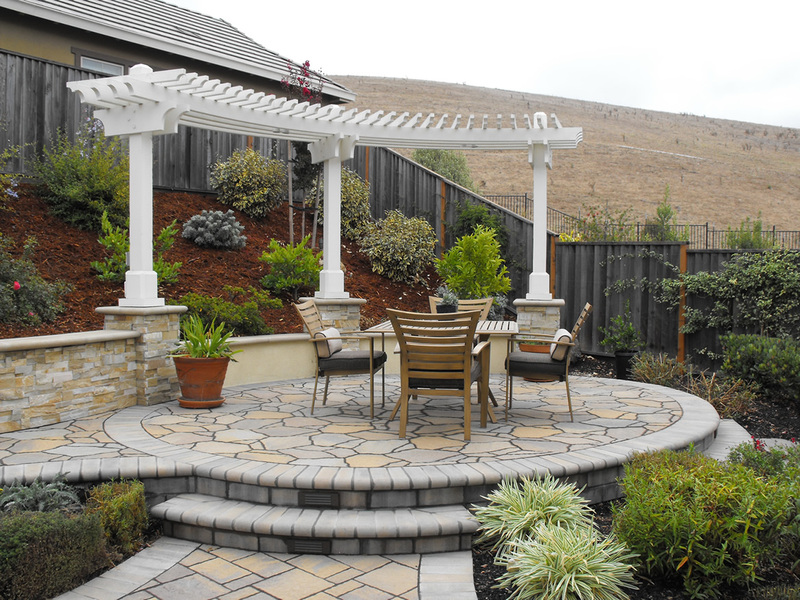 “Hardscape” defines any solid or hard area within your landscape. 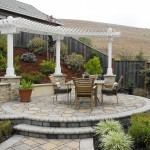 This includes items such as patios, walkways, retaining walls, seat walls, outdoor kitchens, bbq islands, arbors, pergolas, solid roof structures, and pools. Basically this is any hard surface that you might walk on, sit on, entertain on, or sit under. “Softscape” commonly refers to the ‘soft’ or green part of the landscape – grass, plants, mulch and irrigation. 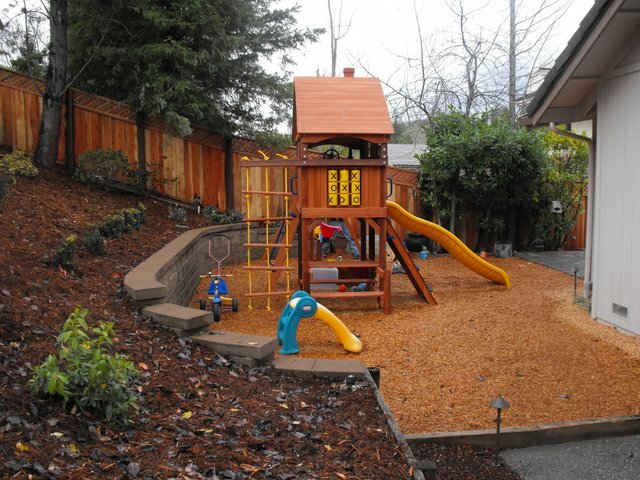 This also includes all the landscape supporting components such as 12 volt lighting to highlight the greenery, and drainage beyond the hardscape areas. Boulders, crushed gravel paths, dry stacked stone walls or natural components like ponds are typically included in softscape discussions. Both hardscape and softscape are key components of a Master Plan and should always be considered in a proportioned fashion. A Landscape Architect is usually more specialized with training/education in hardscapes including principles of design and architectural history as it pertains to outdoor spaces. This applies to both small landscapes and much larger scale like golf courses. Landscape Designers often focus on strictly residential projects with a more extensive knowledge of plant materials and the specifics of softscapes. Any great design has the proper balance of hardscape and softscape that best suits the client needs. 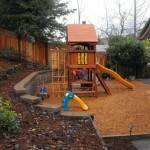 Every outdoor space should be treated as a unique place with specific needs different from any other. From concept to realization, I can help you create a landscape design that suits your home and family – contact me here.